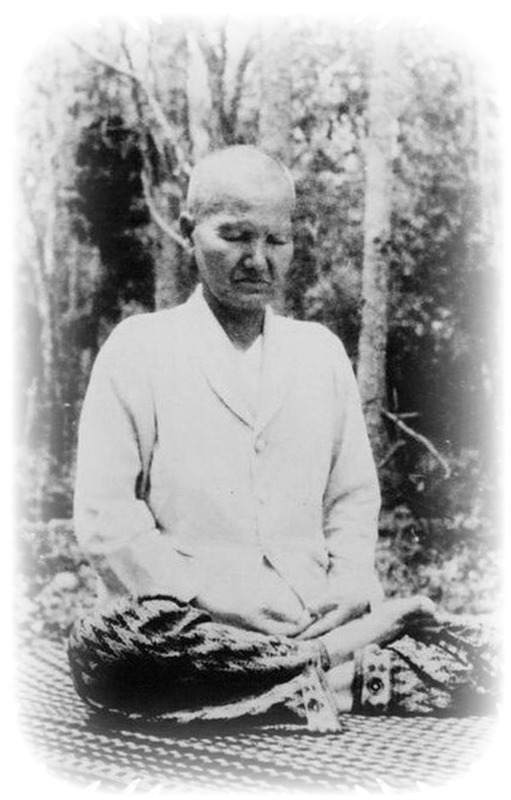 This is highly unusual and a difficult task to achieve, in a Tradition where women are not permitted to ordain as a Bhikkhuni, and must remain in white as a Karavasa Holder of Precepts. 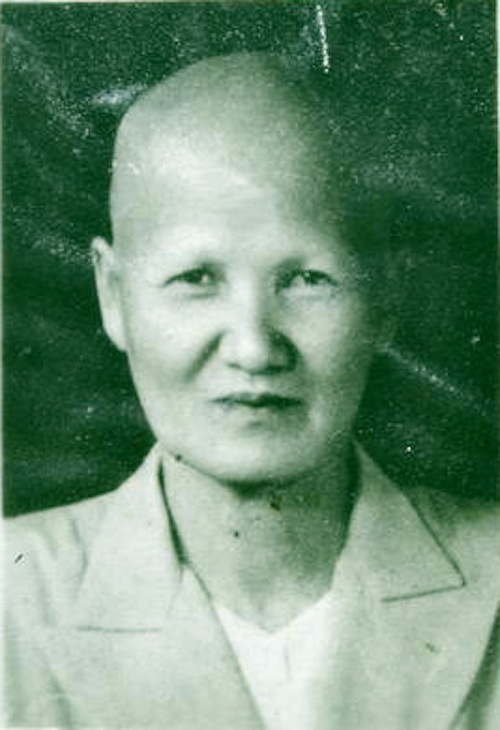 Despite these disadvantages, her great practice, Metta (Compassion) and her teachings, and Charitable Works for Buddhism, brought her to become the most highly beloved Buddhist Nun in the History of Thai Buddhism. 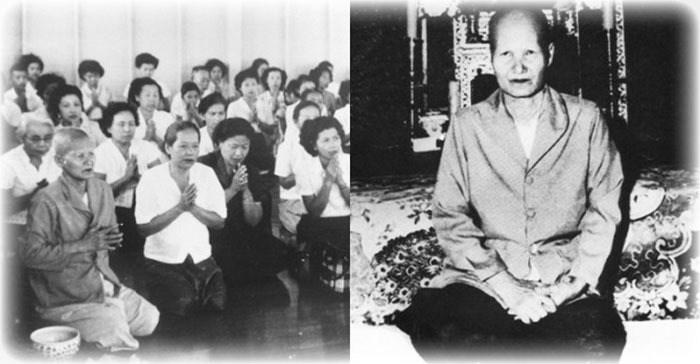 She was known to practice and listen to the Dhamma mostly at Wat Sampant Wongs in Bangkok. 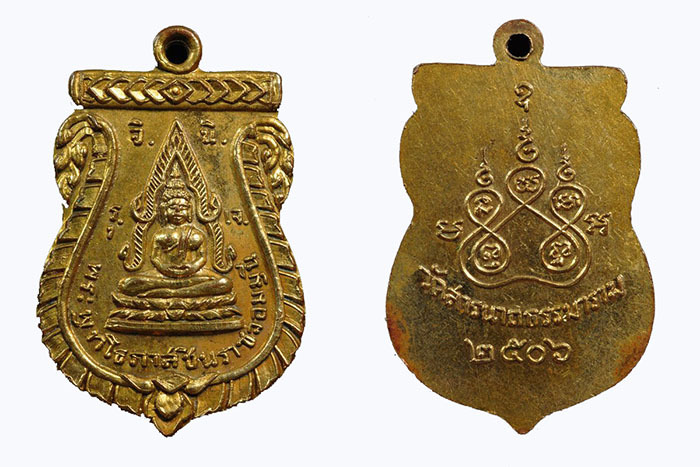 Her most famous amulet is of course the ‘Pra Putto Noi‘ amulet, which was made in various kinds of sacred powder clay, in Pim Lek (small), and Pim Yai (large). The most popular model being the large size model, in its white powder version. The Pra Putto Noi was created in the year 2494 BE, with the Mae Chee Bun Ruean as the Organiser of the raising of the funds for their making and the Charitable Acts which were planned from the funds. 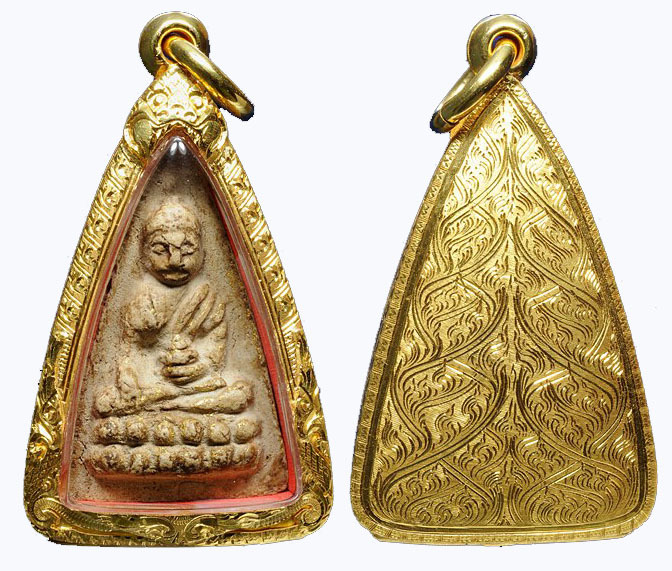 The Pra Putto Noi amulet in its Pim Niyom model, if in pristine state, can fetch tens of thousands of dollars in the high end auction rooms of the Sian Pra Niyom. Luckily there were many models, and some are still affordable in this time, but they are very far and few to discover for collection. The devotees who wear her amulets walk confidently in faith of the Metta Maha Niyom and Serm Duang Klaew Klaad Powers, and healing effects of the amulets of Kun Mae Chee Bun Ruean. Devotees would rub the powders as an ointment, rubbing it on giant centipede stings, snake bites, and infected wounds, to heal them. 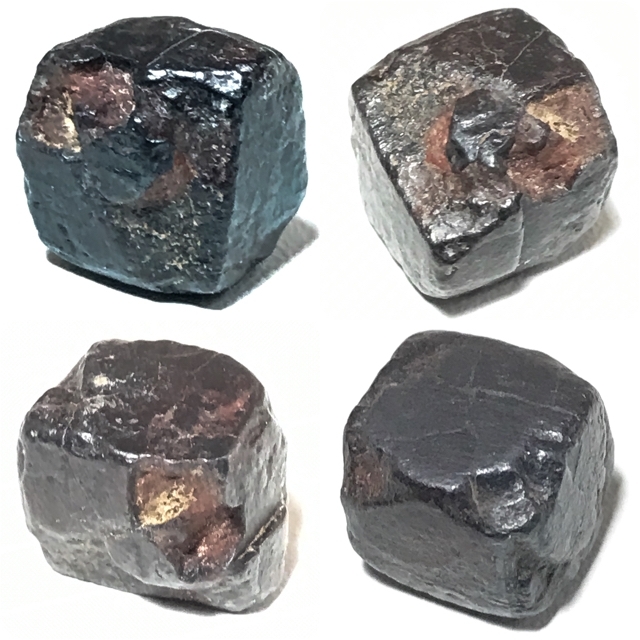 Her purity is believed to have made the amulets she created to be so powerful, and caused her Pra Putto Noi and other amulets to be extremely sought after amulets. She blessed the Famous Pra Putto Noi amulets in 2494 BE, with a ceremonial prayer for the Welfare of the Temple of Wat Awut, in Thonburi. The aim of the funds raised from the edition was to construct the Pra Putto Paas Chinarat Jom Muni, as the ‘Pra Pratan’ Main presiding Buddha Image of the Uposatha Shrineroom at Wat Sarnath Dhammaram temple, in Rayong. Below; Khaw Dtok Pra Ruang Kaya Siddhi Substance, empowered during the 2497 BE Blessing Ceremony. 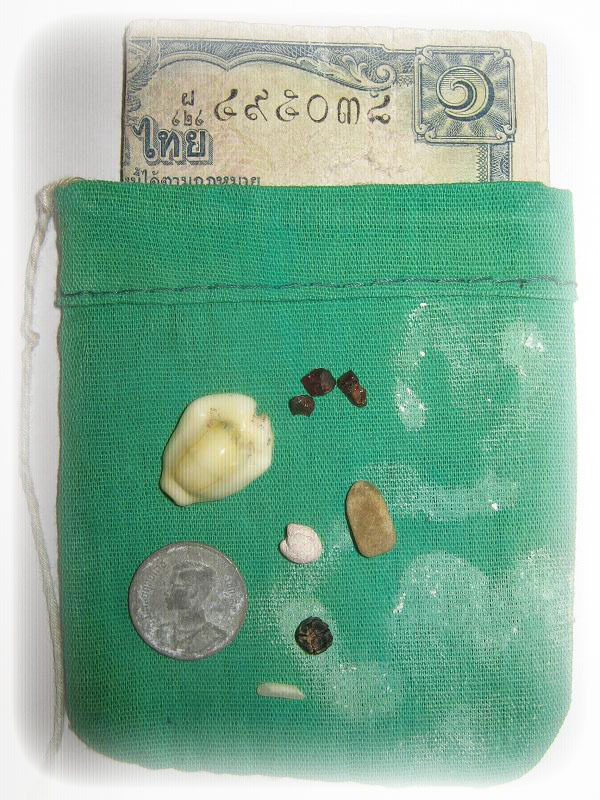 Some purses would have an amulet, or a coin, or a Bia Gae shell, and some Khaw Dtok Pra Ruang Kaya Siddhi Substance, reputed for its Maha Pokasap Wealth Increasing and ‘Raksa Roke Pai Khai Jeb’ healing Powers. Devotees would use the Purse to place on a Bucha Tray (Pan Kroo) and pray to, for Healing and Prosperity. 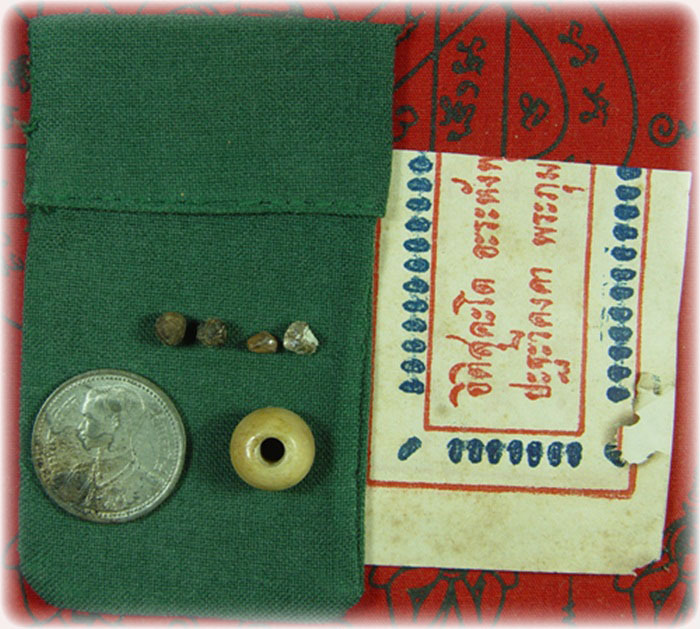 Mae Chee Bun Ruean empowered the Thung Khiaw Hniaw Sap treasure attractor purses at the temple of the Buddha Footprint at Wat Pra Puttabat, in Sra Buri, where they were blessed in a large Buddha Abhiseka ceremony and released in early 2488 BE. Some purses actually had something inside of them, and others didn’t. 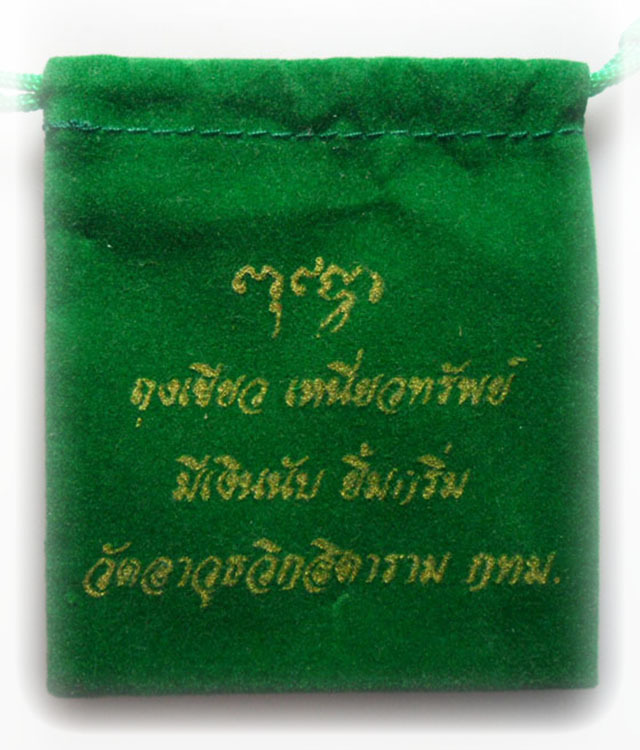 The Thung Hniaw Sap purses are reputed for their Maha Pokasap power to increase wealth and professional success, but have also gained a reputation for powerful healing and protection powers too. 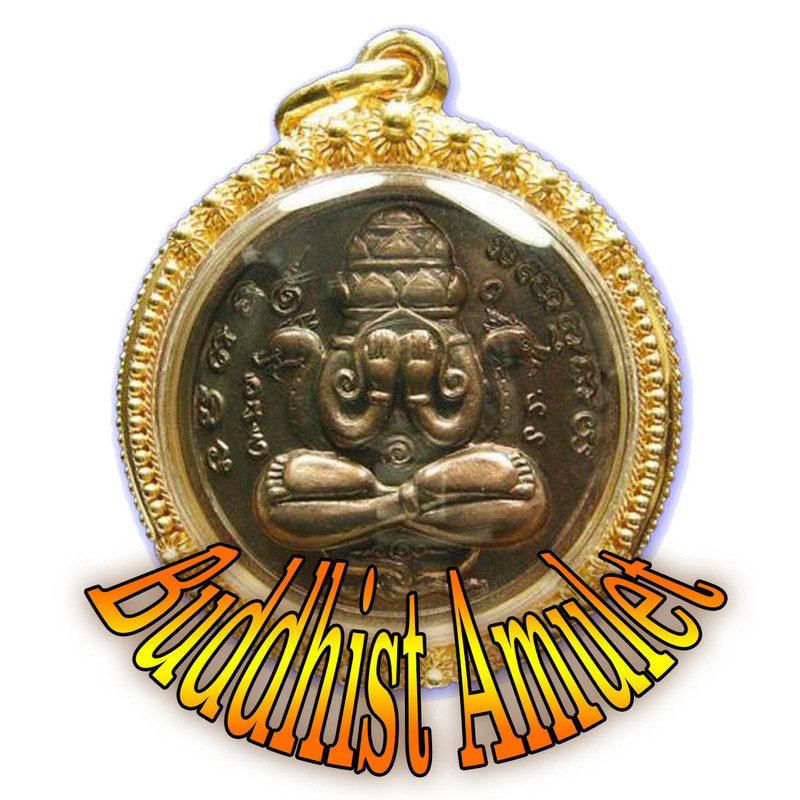 It is a Universally known fact, that the amulets and Sacred Kaya Siddhi Elements of the Buddhist Nun Kun Mae Chee Bun Ruean, are amongst the most highly revered Buddhist Amulets in Thailand, and are as rare as they are sacred.